Grammy and Oscar-Winning Artist and Activist Common will be joined by a number of special guests including J. Cole, Goapele, Van Jones and more on Capitol Mall in Sacramento to host a community concert, Imagine Justice, to advocate for criminal justice reform on Monday, August 21. 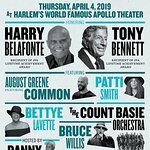 The free community concert, for all-ages, is an opportunity to bring diverse audiences together for a historical performance by artists and activist who believe that reform, redemption and rehabilitation are critical for the betterment of all of society. Centered at the intersection of art and activism, Imagine Justice will spark meaningful dialogue around mass incarceration and justice, provide audiences with an enriching and unforgettable cultural experience, and amplify messages of hope, justice, change, and love. On March 28-31, Common kicked off a Hope and Redemption Tour by playing four shows, in four prisons, in four days. Since then, Common has visited the California State Capitol to meet with various legislators about criminal justice reform bills, participated in a number of community events and visited numerous state prisons throughout Southern California. “Visiting these prisons and speaking with the men and women inside during the Hope & Redemption Tour had a profound impact on me. I believe it is my duty to lend my voice to the voiceless and stand with the men and women in prison who have been silenced for so long. We need a justice system that is a tool for rehabilitation rather than a weapon for punishment,” said Common. On August 21, Common will continue his advocacy work in justice reform with a community concert on Capitol Mall in front of the California State Capitol where he and special guests including J. Cole will take to the stage for an inspiring and empowering evening of music and unity. The next day, Common will join multiple organizations in the State Capitol for several meetings with the Governor, caucuses and other legislators to discuss a number of upcoming bills. 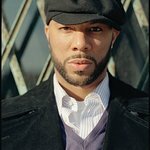 Following his visit to the State Capitol, Common will travel to the historic Folsom State Prison to perform for the men in prison, joined by special guest Goapele and Mike Epps. Doors open for Imagine Justice concert at 4:00 PM and the featured programming will kick off at 6:00 PM. Imagine Justice will include live performances by Common, J. Cole, Goapele, Los Rakas, Syncopated Ladies and more. The concert will feature guest speakers DeVon Franklin, Bryonn Bain and Van Jones. Admission to the event is free with advance registration. More than 30,000 guests have registered and no further registrations can be accepted. Imagine Justice is supported by the Anti-Recidivism Coalition, which provides support for formerly incarcerated young people and advocates for justice reform. Organizations partnering on the event include: All of Us or None, Always Knocking, Blackout for Human Rights, Boys and Men of Color Alliance, Californians for Safety and Justice, California Alliance for Youth and Community Justice, Communities for a New California Education Fund, Congregations Organized for Prophetic Engagement (COPE), Communities United for Restorative Youth Justice (CURYJ), East Asian Youth Center- Sacramento, Ella Baker Center, Equality California, La Familia, Legal Services for Prisoners with Children, PICO, Presente.org, Sacramento ACT, Sacramento Building Healthy Communities, Sacramento City Unified School District – Youth Development Support Services, Sacramento Reinvestment Coalition, Self-Awareness and Recovery (SAR), Sol Collective, Youth Justice Coalition.